Our draft report, Growing a stronger local democracy, from the ground up (PDF) shares the findings of our research into how we can build a stronger local democracy in Kirklees – for the next generation, and beyond. Over 1,000 people have shared their thoughts about our local democracy and have contributed their ideas for change. 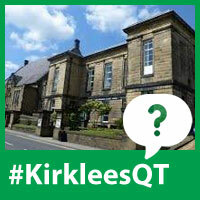 We have an opportunity to rethink our approach to local-decision making within Kirklees. We could take a more devolved approach to local influence, engagement and decision-making, from the ground up. We’re redesigning local democracy for the future and we’re strongly aware of the responsibility that we have to our young citizens. 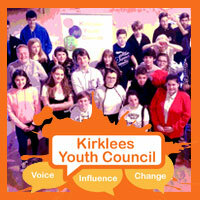 We want to develop an environment and a culture across Kirklees that nurtures young people’s interest in local democracy. Young people do not currently have as much of a stake in civic society and we are keen to address that imbalance. 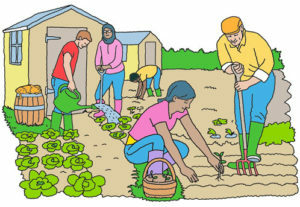 We also recognise that we need to develop a life-long approach to active citizenship. Along with our partners in wider civic society, we should treat Active Citizenship as a strategic priority and take shared responsibility for supporting and developing active citizens. We believe that our partners, the press, businesses, the third sector and our local MPs all have a part to play in fostering a shared stake in our local democracy. Our networked society has much to offer local democracy. Digital technologies enable ordinary citizens to get their voices heard. They also present opportunities for us to work together, to create social good through collaboration. Civic society is wide and we want everyone to play an active part – great places develop from strong relationships, online and off-line. Being a citizen is different from being a customer. It’s about ongoing relationships, not transactions. We’ve created local government websites that are designed to enable people with busy lives to get specific tasks done quickly and easily – but that isn’t going to help us to encourage active citizens or to change our democratic relationship. We need different online spaces that are designed for citizens – not customers. Our experience of local democracy can feel very out of step with our lives as private citizens. We expect to be able to interact, comment, challenge, collaborate and vote on issues in real time. The technology is readily available for us to be able to do this for many aspects of our lives. So why can we not “do democracy” in the same way? It’s important for us all to have ways of connecting, so we can be part of the civic conversation. Citizens already use the internet as a place to collaborate for civic good. There are opportunities for our council and our councillors to work with existing civic networks and active citizens online. We have a responsibility to not just be part of the civic conversation, but to help it grow. Our democratic information is quite traditional, in fixed formats and is often difficult to find. If we are serious about encouraging Active Citizenship, our democratic content must improve – it must be shareable, interesting and accessible, so that it is of value and relevance to our citizens. A councillor is a… Steward of place, Advocate, Buffer, Sense maker, Catalyst, Entrepreneur, Orchestrator, First line of triage, Enabler, Conduit, Facilitator, Broker, Change maker, Problem solver, Influencer, Negotiator, Connector, Networked leader, Civic educator, Talent spotter, Mentor, Service co-designer and Civic builder. It’s an ever-growing job description – and whatever you think should be on it, our witnesses have told a consistent and compelling story about the changing role of councillor. The principal focus of a councillor’s time and energy should be on working closely with the citizens and communities they represent. Councillors should be developing dialogue and networks in their wards, from the ground up. They should have the time and support they need to be able to do that, but the overall package of support for councillors is out of step with the changing role. Our citizens and staff are confused about what a councillors do and what they are responsible for. There are a variety of reasons, including confusion with the MP role, a lack of visibility and accountability between elections, broken links between councillors and decision-making in the areas they represent, a lack of clear information and a lack of local civic education. Few people are currently interested in becoming a councillor. We need to be clear about what the role is, communicate it effectively, resource it properly and make it achievable. The council alone cannot make this happen. Political parties also have a role to play. Citizens have told us they value the role of councillor. It is a vital part of our representative democracy. We’ve explored whether we should have fewer councillors, more councillors or retain our current number. To do this, we have considered both the price and the value of representation. Consultation is not currently enabling or facilitating active citizens. In fact, it appears to be having the opposite effect. We should have a much stronger focus on genuine dialogue and engagement as part of our changing relationship with citizens and communities across Kirklees. We need to develop continuous relationships, instead of stop-start consultations. Citizens would like to have a menu of options for how they can get involved. Decisions shouldn’t just involve “the usual suspects” – we need to value the knowledge of our citizens and be clear about who we need to hear from for each decision. We can’t consult on every decision, but we can be more selective in our methods – and get better informed decisions as a result. Democracy isn’t about always being the person who wins. It’s unlikely that everyone will agree with every decision, but it’s important for citizens to know what’s happening at every stage – whether or not they agree with the ultimate decision. It’s vital for citizens to know how decisions are made, and not just what those decisions are, as this helps to build trust. We need to involve people in the whole journey. Councillors can do much to explain local democracy to our citizens. They can play an important role in interpreting and sharing information about decision-making. 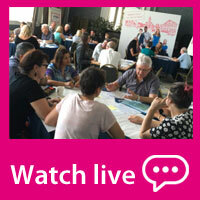 This could help to create opportunities for citizens to engage with councillors (both online and off-line). We know that citizens of all ages want more civic awareness. Our meetings should not be hard to follow or engage with. Meetings provide an ideal opportunity for the council and our councillors to engage, share and foster a wider understanding of how our local democracy works. We need to say “we’re open for business and you’re welcome”. Registration is the first step on the journey to voting. It’s important for us to do as much as we can to support our young citizens in making that step as early as possible. We must also continue our outreach and engagement activities to support citizens with registering to vote. Elections are an area of growth. The number and complexity of elections are increasing. Changes such as Individual Electoral Administration have created extra pressures. This means that it’s challenging for councils to run elections and it’s difficult to maintain numbers on the electoral register. Without more support or better ways of doing things, the situation is unsustainable. Voters are motivated by having a competitive choice of candidates and by having a sense that your vote will count for something. Our citizens told us that it’s important to get the best people into the council. There is strong public demand for better information on candidates, especially about “where they stand”. We need to make sure that citizens can easily find accurate, timely, trustworthy, relevant information that is based around their needs. Local government touches every aspect of our day-to-day lives, and yet most people do not see local elections as important. Citizens have greater trust in local politicians than in national government, but we don’t see this reflected in voter turnout at local elections. We must do more to tell the story of why local democracy matters. We need to improve people’s understanding of the local political system and its importance. Our young citizens told us that they feel invisible in local politics. They want more of a voice in the decisions that affect their lives. In light of our evidence as a whole, we recommend that government should legislate to lower the voting age to 16. We welcome the idea of devolution beyond Westminster. Done well, it can provide opportunities and potential solutions to the challenges we face. The top-down, economic focus of regional devolution must change. We want a democratically focussed devolution that starts with local communities and grows from the ground up. It should be rooted in the priorities and outcomes that are important to citizens in our towns and villages. 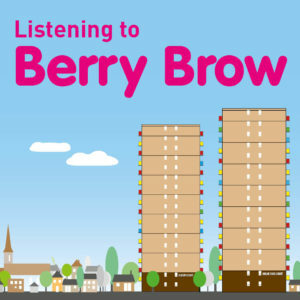 Our history, and the history of our places, is important to local people and to councillors. 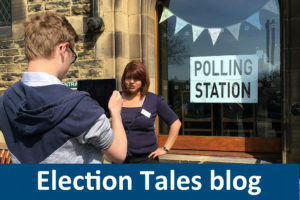 Citizens feel a real sense of concern that towns and villages have lost their identity and lost their connection with the council when becoming Kirklees. Local people are worried that devolution may further weaken our sense of identity. This is why devolution must be rooted in our communities. Many of our local citizens, and many councillors, are unclear about what regional devolution is or what it will mean for them in the places where they live and represent. Public understanding of the opportunities and implications of regional devolution is minimal. Over time this needs to change. Local councillors should be leading the dialogue with, and on behalf of, our citizens. In this way, we will make sure that Kirklees is strongly placed to influence and access the opportunities presented by devolution. Whilst the focus should be on outcomes, we want to emphasise the importance of democratic accountability and transparency as part of regional devolution. Any decision-making model should be democratically legitimate. Our Commissioners, all Kirklees councillors and members of Kirklees Youth Council will take part in the debate about the future of our local democracy.